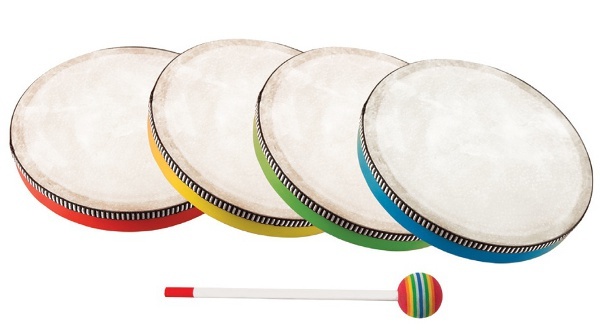 Children hand drum in colors. With diameter of 20 cm. Wood body. Plastic and foam stick.